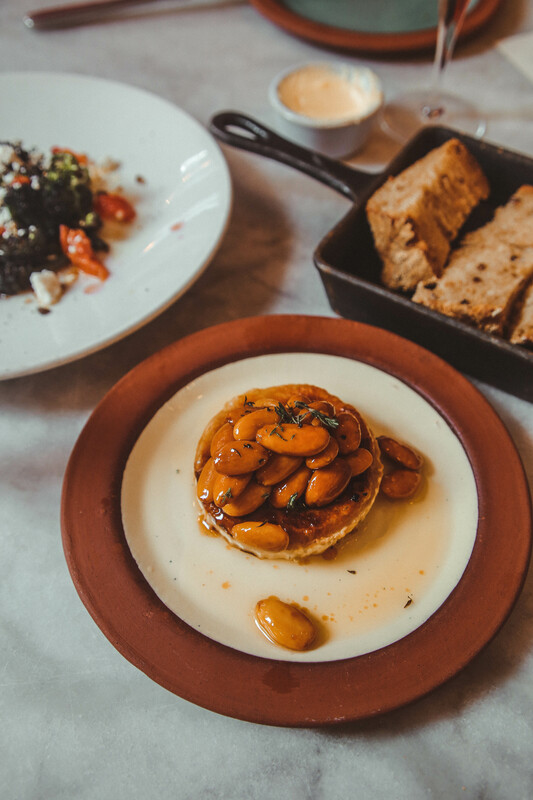 Since this latest trip to London wasn’t my first time visiting the city, I decided to trade out the touristy landmarks like Big Ben and Westminster Abbey, for the foodie spots. From trendy bars in the Square Mile to local pubs in Kensington and a traditional Sunday roast in Clapham, we traveled all over London to check out some of the best food and drinks that the city has to offer. 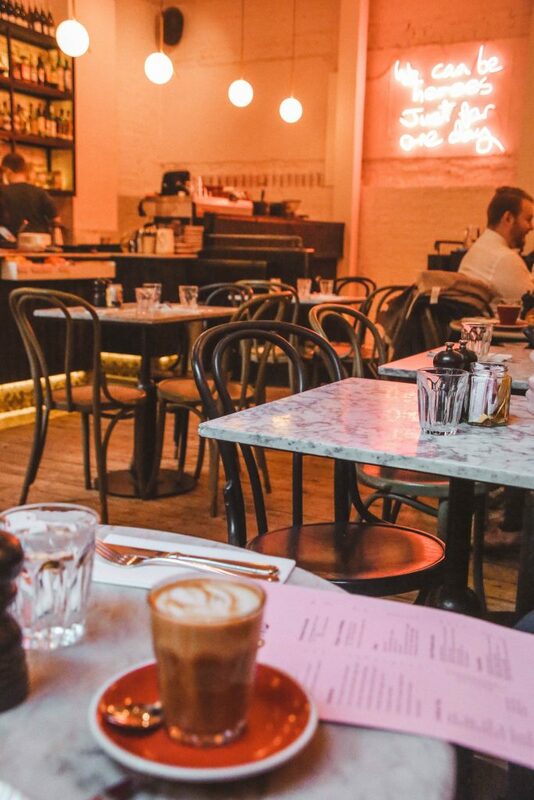 Now, before diving in to my food & drink recommendations, I do want to say that reservations in London are a MUST. While I do love to plan ahead, there were a few spots that I didn’t reserve ahead of time and ultimately, we didn’t make it in, so if there’s a spot that you absolutely want to try, make sure to book ahead of time! 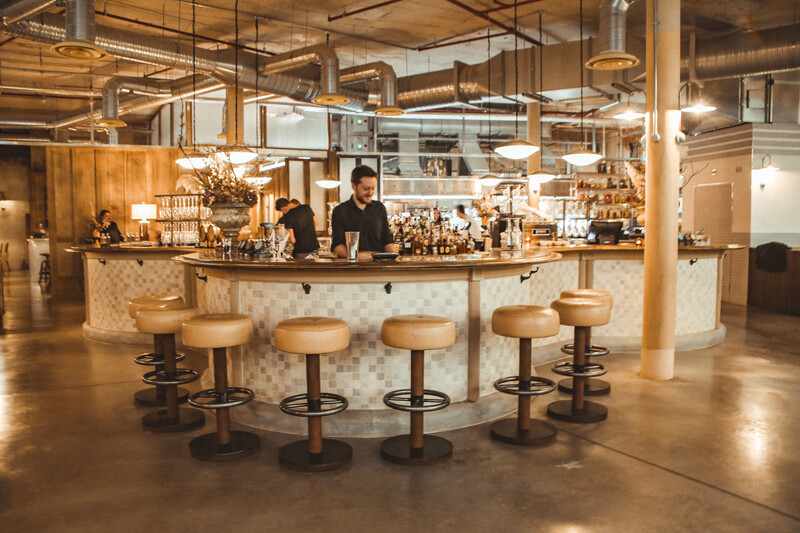 But, regardless, London is full of good restaurants at every price point so if you’d prefer to take your chances, you’ll still be able to find places that will accommodate, it just might be a little longer of a wait. 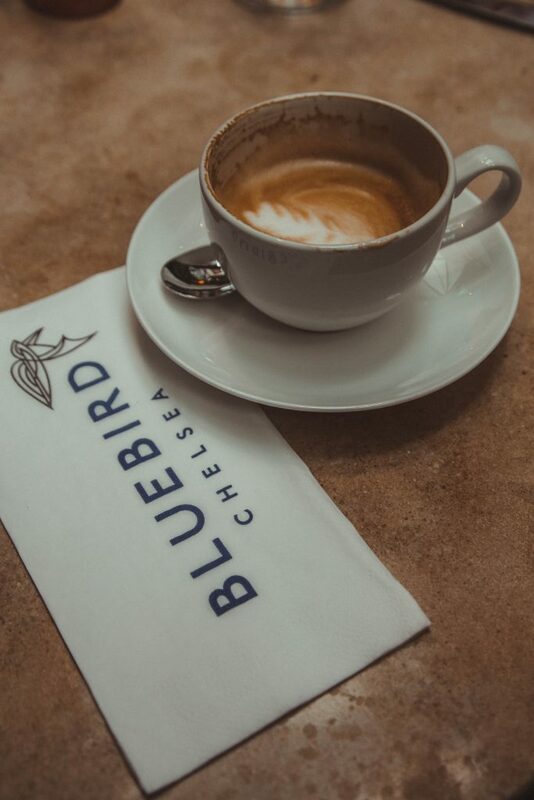 Bluebird Chelsea ($$) – Located in the trendy neighborhood of Chelsea, the Bluebird is a local cafe and restaurant with a traditional food menu, and is conveniently located within walking distance of the Victoria & Albert museum. 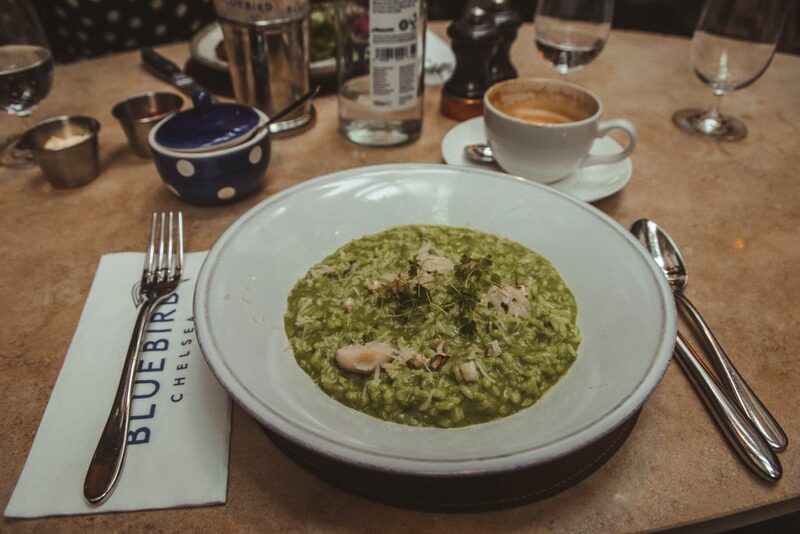 While there for lunch, I had the parsley & three corned garlic risotto and an almond milk latte. Not only was the food delicious, but the environment is so bright and inviting with its skylight and classic design. 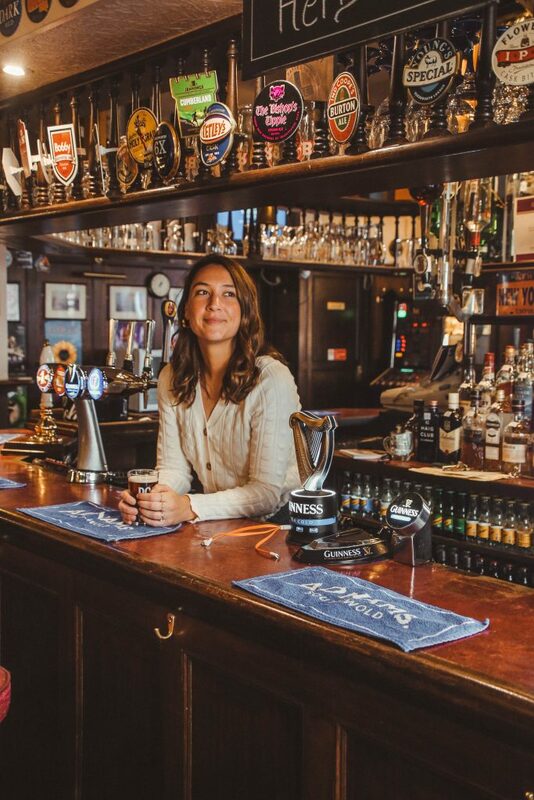 The Brittania ($) – My parents and I spent most of our third day in London walking from Oxford Circus to Shoreditch, so of course we had to stop in a local pub to hydrate ourselves. 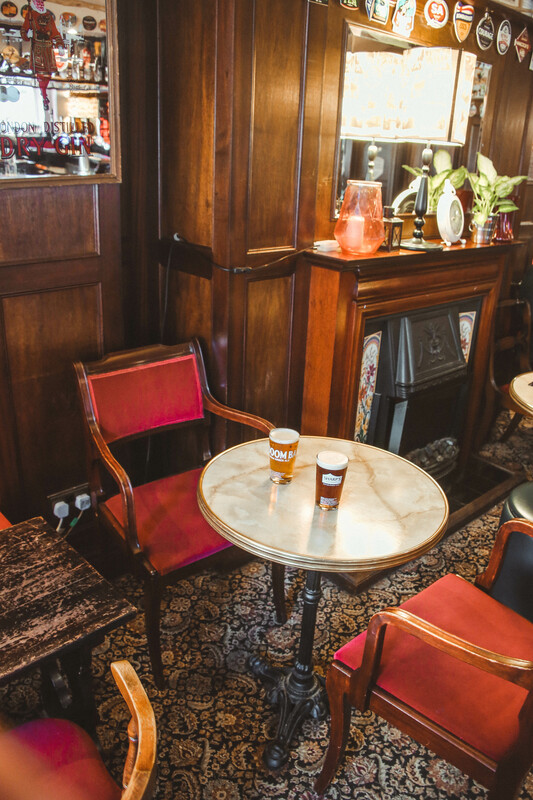 On our walk we stumbled upon The Brittania which was exactly the local pub vibe that we were going for – very British and fully stocked with a number of local craft beers. 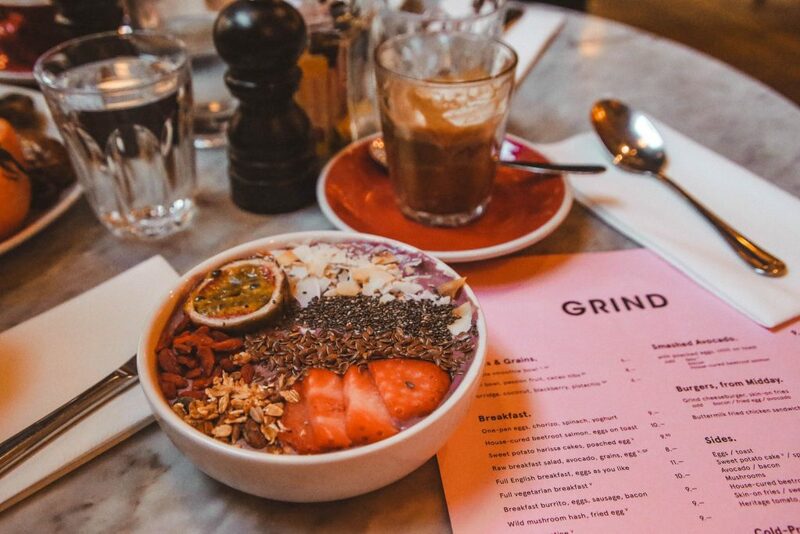 Covent Garden Grind ($) – A chain coffee shop with locations scattered throughout the city, the Covent Garden Grind was a great place to pick up a fast, tasty and reasonably priced brunch before heading out for a long day of walking. 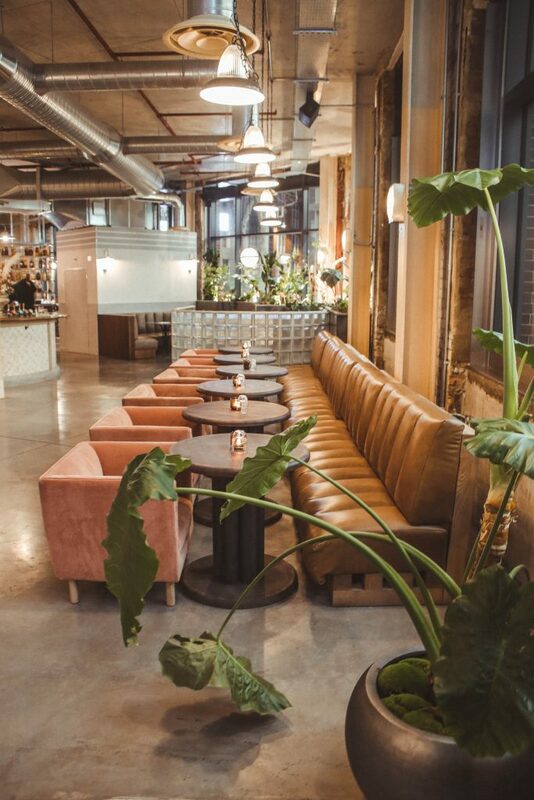 Check out their other locations like the Shoreditch Grind or the Clerkenwell Grind for more Insta-worthy decor. 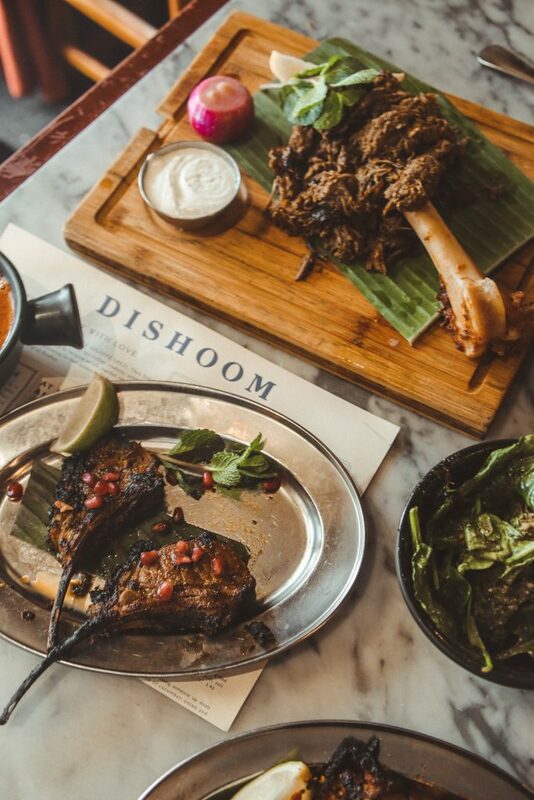 Dishoom ($$) – A local spot with a number of locations around the city, Dishoom pays homage to Irani cafes and the food of all Bombay, and if you ask me, is a must-visit spot in London. 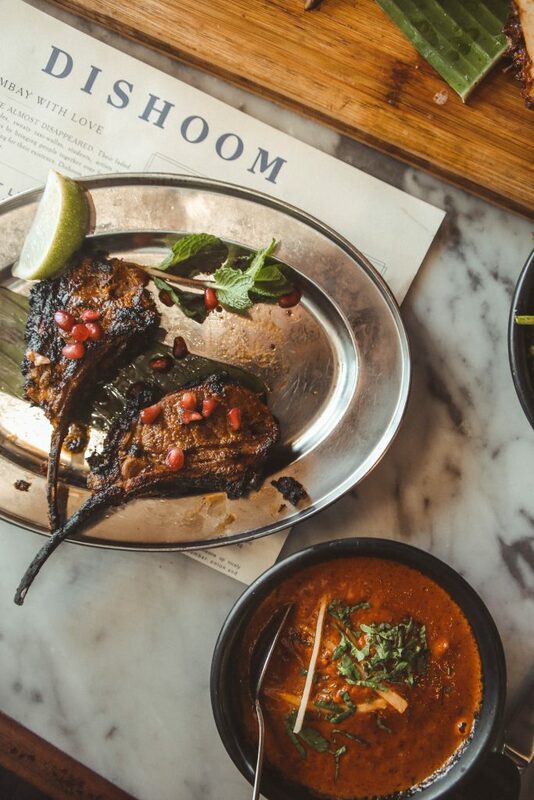 Offering an eclectic menu filled with a number of exquisite dishes, no matter what your palate is, you’re sure to find something that will blow your mind at this spot. 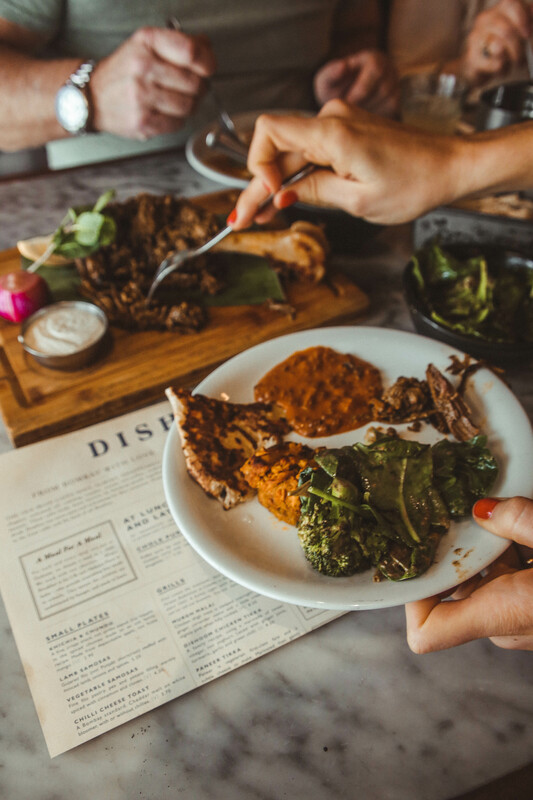 Great for groups, everything is made to share so you can get a taste of everything! 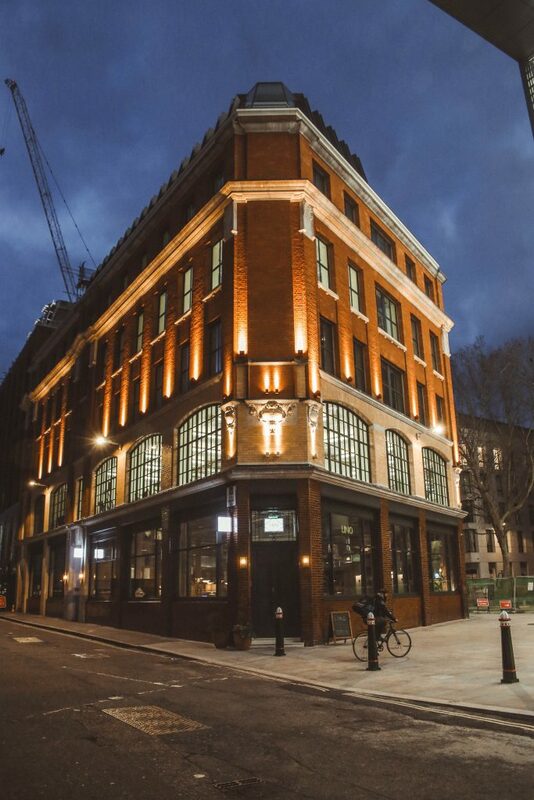 LINO London ($$) – Housed in a converted Linoleum factory in the square mile, LINO London is quite a sight to see. 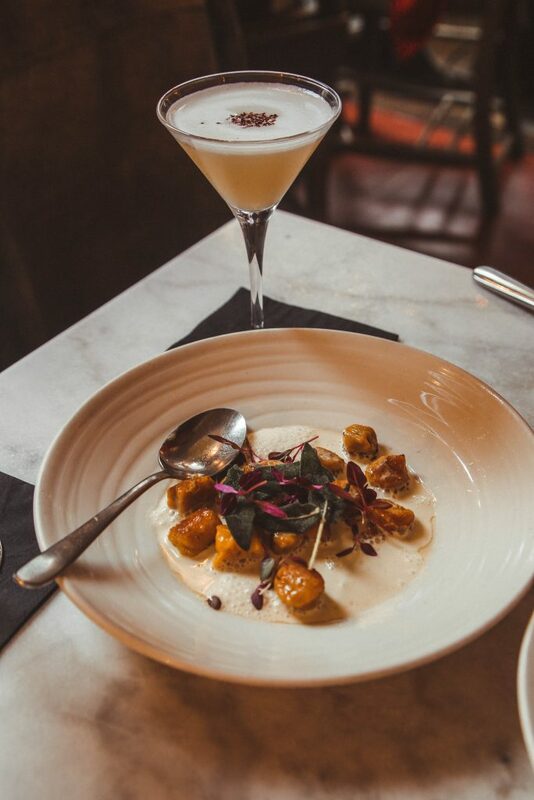 Beautifully decorated with sustainably sourced materials and a unique cocktail menu to match, LINO London is aesthetically pleasing to the sight and taste. 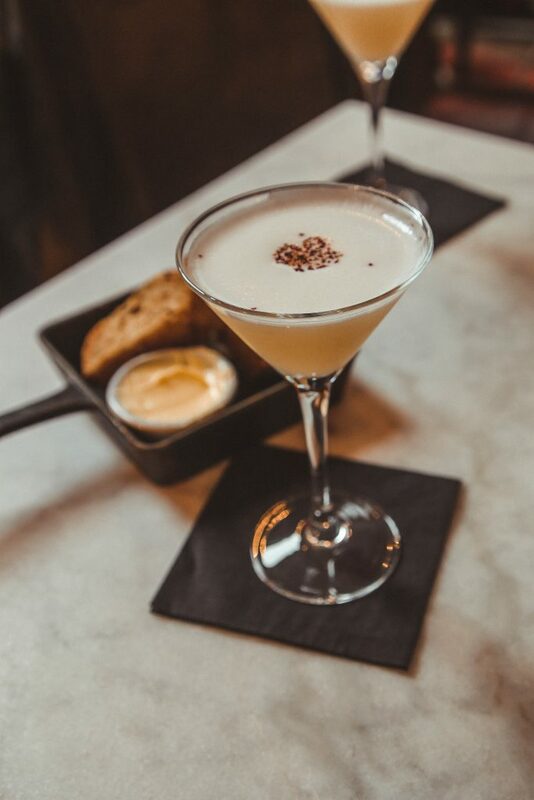 Mr Fogg’s Residence ($$$) – On the pricier side, Mr. Fogg’s Residence is one of a collection of adventurous bars transporting you back to the Victorian era. 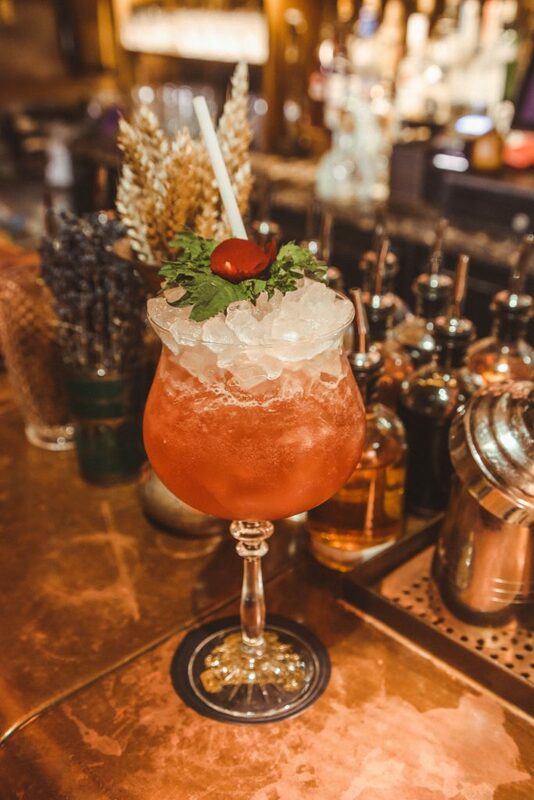 Located in Mayfair, Mr Fogg’s Residence offers a seemingly never-ending list of one-of-a-kind cocktails inspired by Mr. Fogg’s adventures across the globe. 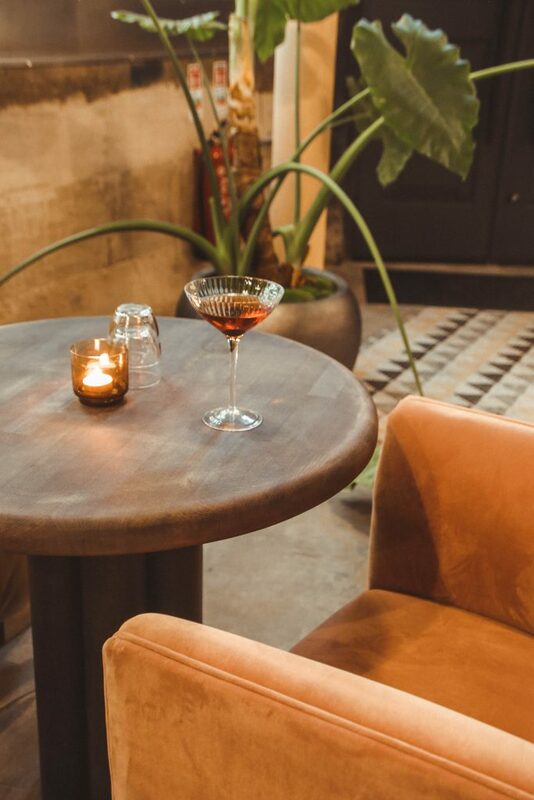 From the names and descriptions of the drinks to the space’s decor, this place transports you right to a different time and inspires you to try new things. 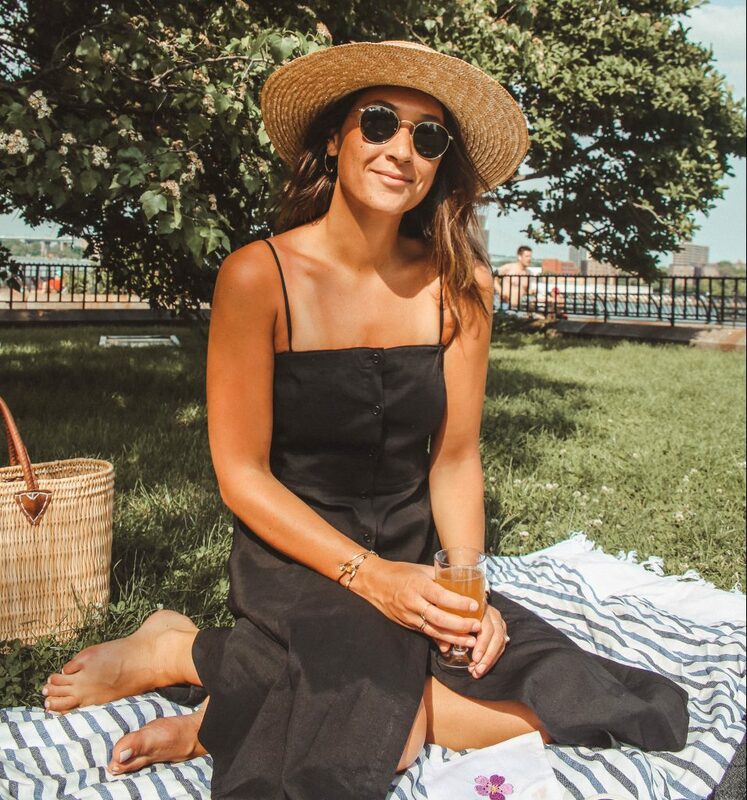 If you can’t make it to this location, their other locations like Mr. Fogg’s House of Botanicals and Mr. Fogg’s Tavern, are equally worth seeing. 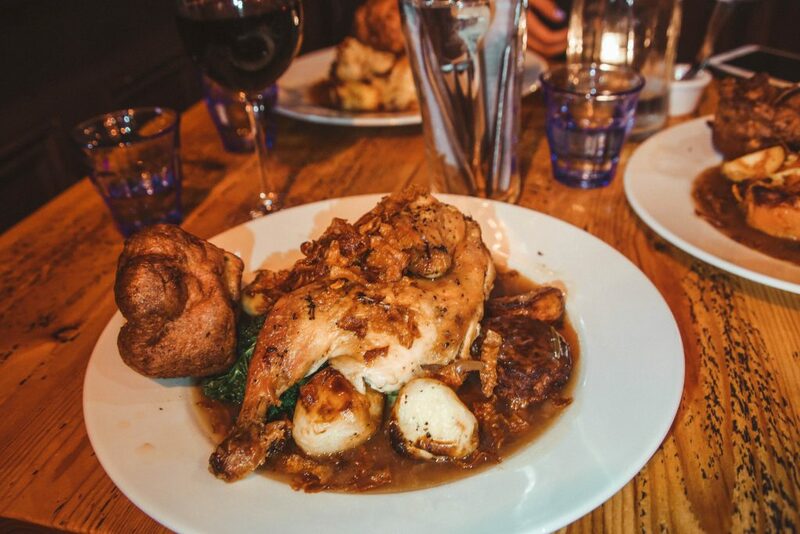 The Grove ($$) – A Sunday roast is a traditional British main meal that’s served on Sunday’s and usually consists of roasted meat, potato, Yorkshire pudding, stuffing, vegetables, gravy and more. Since we were in London we thought, what better place to experience our first traditional Sunday roast. Luckily, many pubs and restaurants in the city offer this traditional meal on Sunday’s and since we were staying in the Clapham area, we decided to try out a local spot, and it did not disappoint. 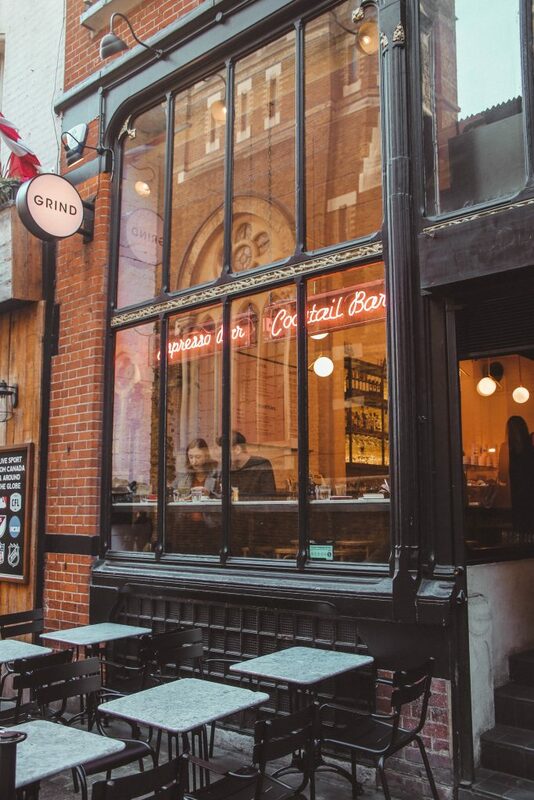 Located only about 20 minutes from the center of London, The Grove serves up a tasty traditional roast, that won’t break the bank and to top it all off, they host a fun trivia game during dinner. The Shed ($$) – This was my first meals of the trip and one of my favorites. 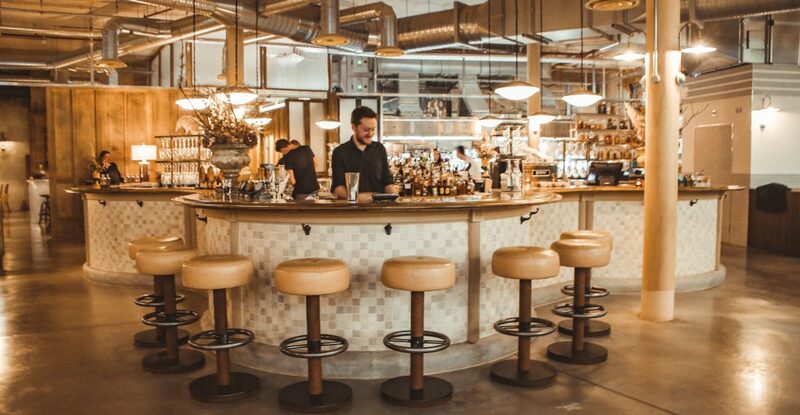 The Shed is a quaint, rustic Notting Hill restaurant, serving only local and wild British seasonal produce, including livestock from the owners own farm and wine from their vineyard, Nutebourne. I highly recommend checking this place out if you’re in the area.